Quest for the treasure of the Gods in Kronos Slots, a 5 reel 20 payline online slot with free spins for otherworldly wins! Kronos Slots celebrates the Greek myth of Zeus, and is similar to the Zeus Slot game, but with variations and extra bonus features. It’s a 5 reel 20 payline slot with the potential for big jackpot wins. The symbols in Kronos Slots pay right to left as well as left to right, so players have more opportunities to win. Get 3 stacked Kronos or Wild symbols to increase the chance of resulting in big wins. 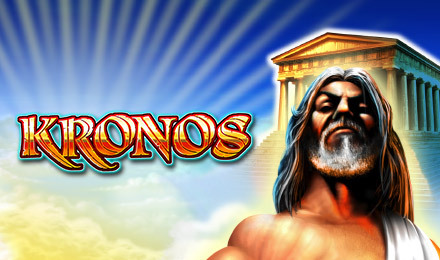 3 or more bonus symbols will activate the Kronos free spins round. Getting 3 bonus symbols will result in 10 free spins, and 4 bonus symbols will cause 25 free spins, whilst 5 bonus symbols will end in a whopping 100 free spins! Kronos Slots gives players the chance to win huge cash prizes from stacked wilds and free spins, whilst being a fun game for both new and veteran slots players.